Alarmcraft adds a red box sounding off an array of different alarm sound effects when it receives a redstone pulse/signal. Perfect for mob alarms, door chimes etc. 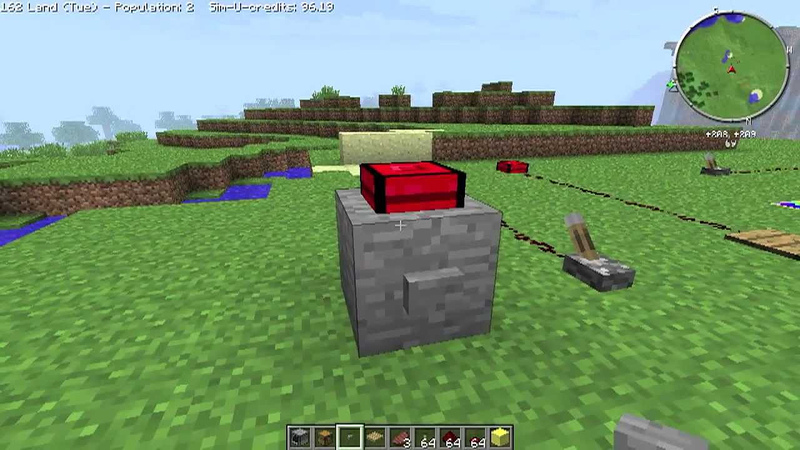 It works with regular redstone levers, buttons , tripwire, pressure plates and redstone wire, as well as redstone pulses from other mods such as Computercraft’s Computers and turtles, Buildcraft’s logic gates, and any mod that emits redstone signals will trigger these alarm boxes.